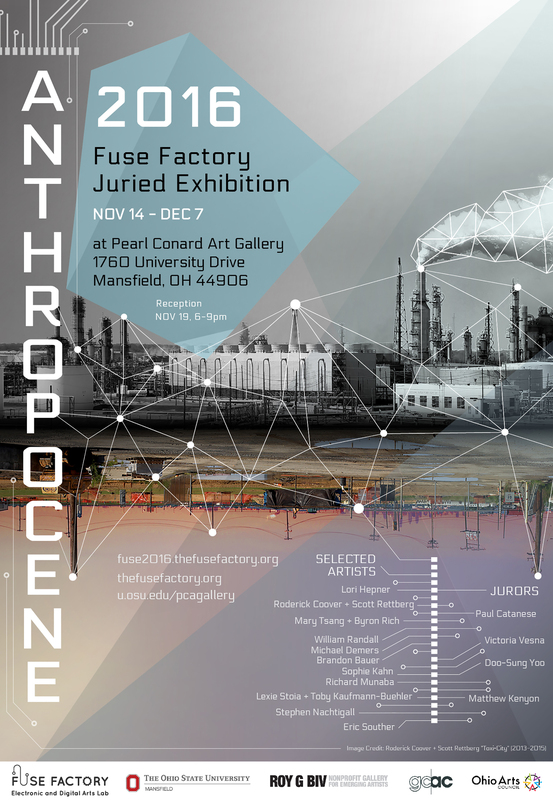 My work AN602: Tsar Bomba is part of the Fuse Factory 2016 juried exhibition – ANTHROPOCENE. The Fuse Factory is a hands-on art and technology lab. They expose the general public to new media art, sound art, and experimental music created with a diverse range of high and low technologies. Their public programming includes free exhibitions, participatory workshops, and live performances. The exhibition will run from Monday, November 14th to Wednesday, December 7th at the Pearl Conard Art Gallery, located on the Ohio State University-Mansfield campus. Accompanying the exhibition is a series of hands-on workshops that will be held at the Ohio State University main campus, the Columbus College Art & Design, and the ROY G BIV Gallery. Artists included in the exhibition: Brandon Bauer, Roderick Coover and Scott Rettberg, Michael Demers, Lori Hepner, Sophie Kahn, Toby Kaufmann-Buhler and Lexie Stoia, Richard Munaba, Stephen Nachtigall, William Randall, Byron Rich and Mary Tsang, Eric Souther.